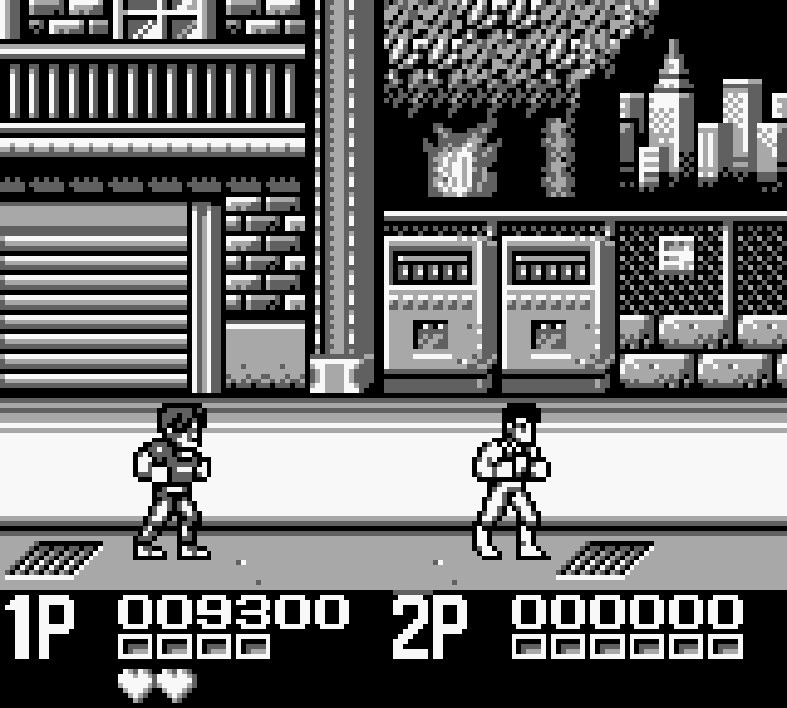 It always seemed like there must be a soda machine lurking somewhere in the Double Dragon series, and I finally found these in Double Dragon II for the Game Boy! 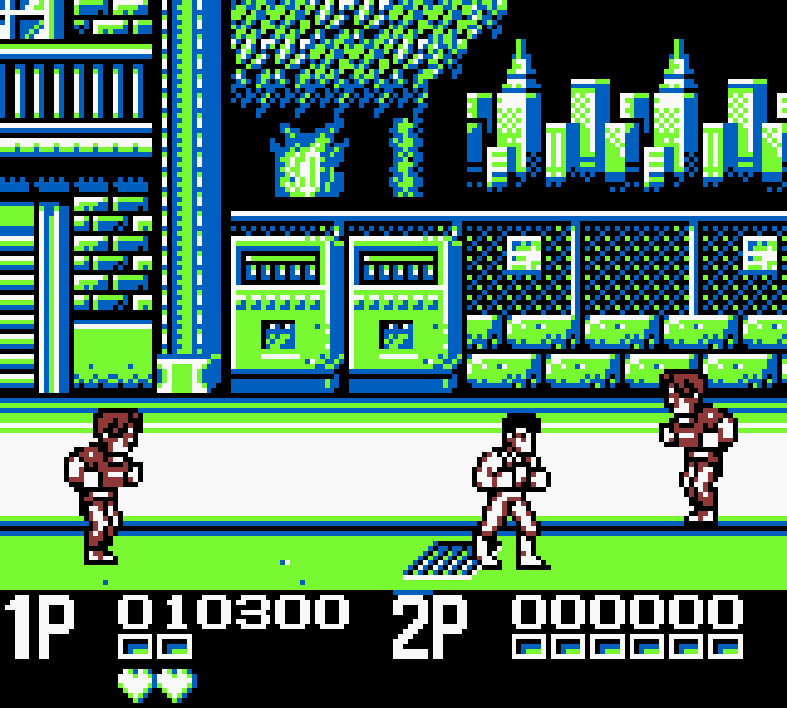 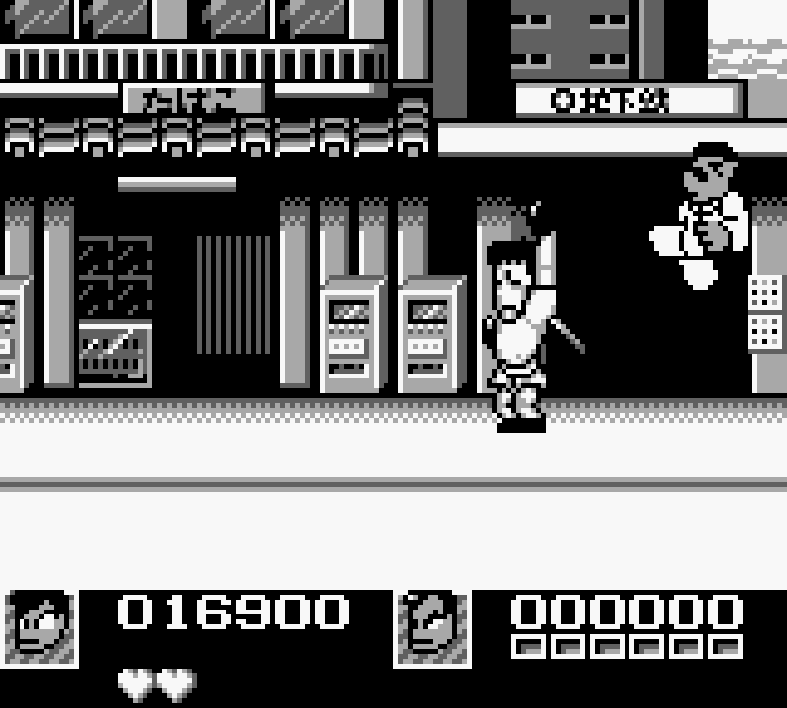 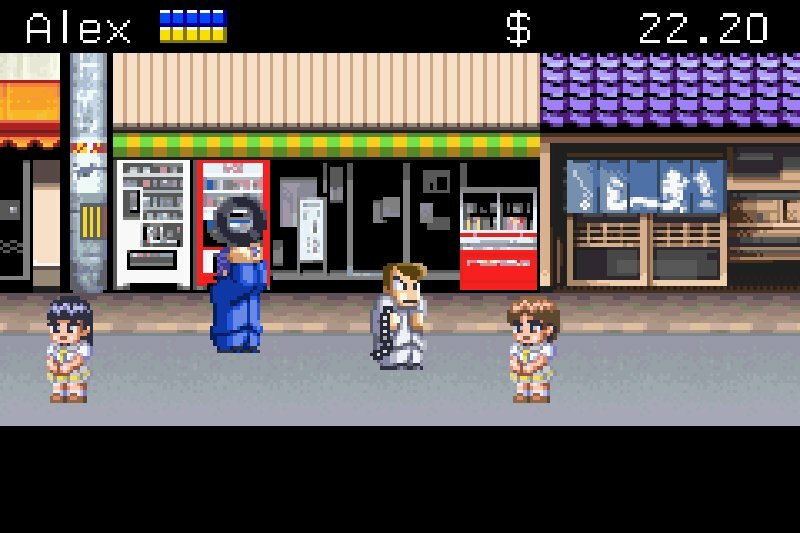 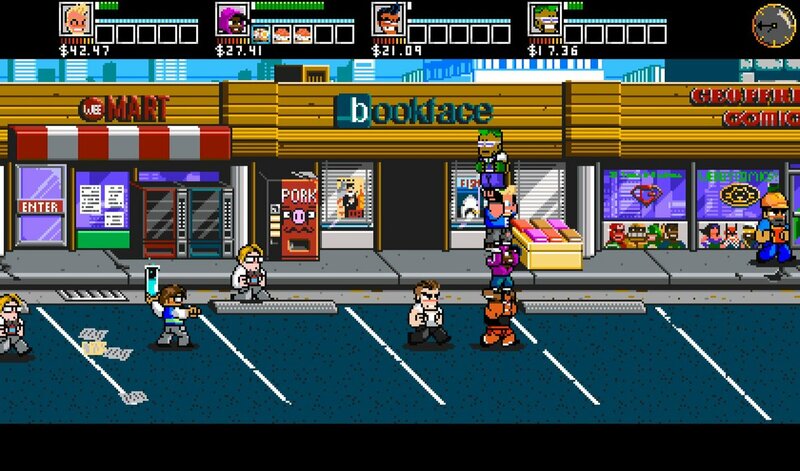 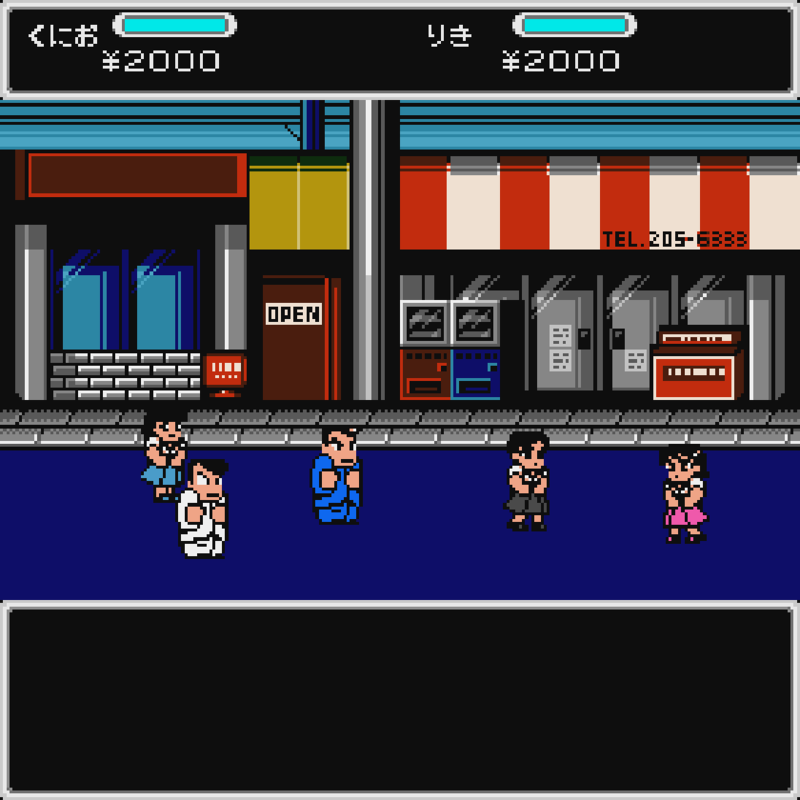 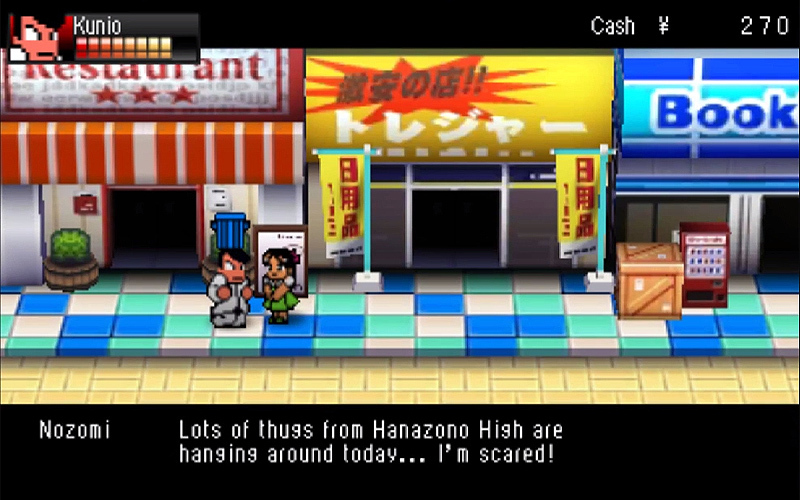 Of course, it’s worth noting that the Game Boy release of Double Dragon II was actually a re-skin (soda machines and all) of Nekketsu Kōha Kunio-kun: Bangai Rantōhen, an entry in the Kunio/Nekketsu High series. 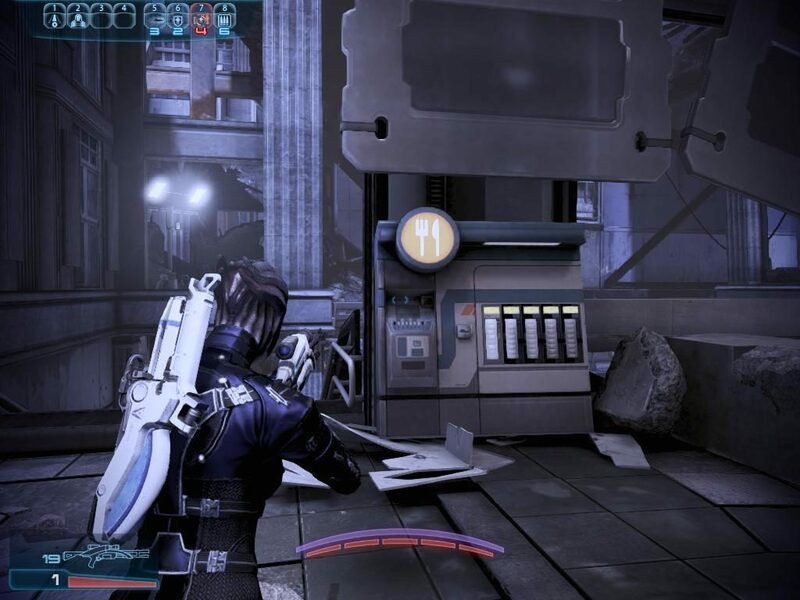 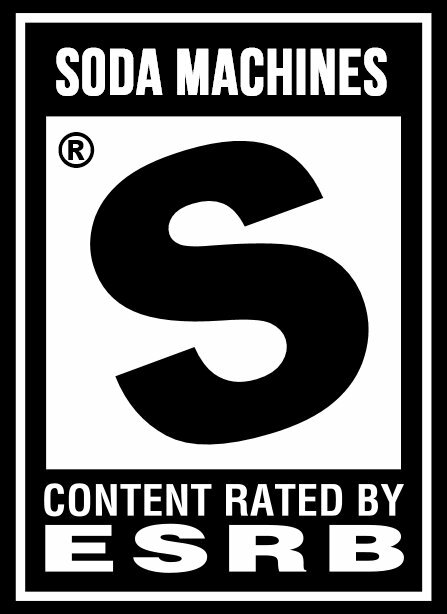 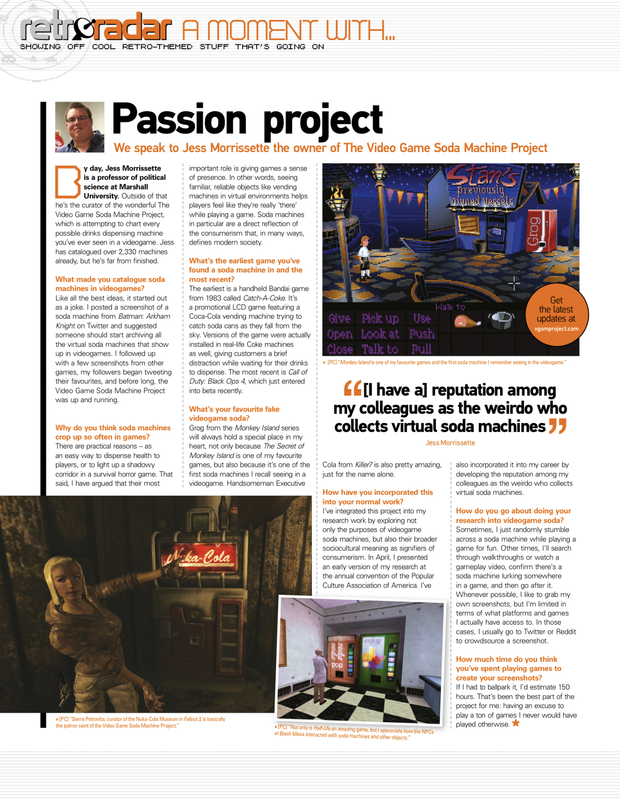 Yet again, soda machines provide a unique window into video game history. 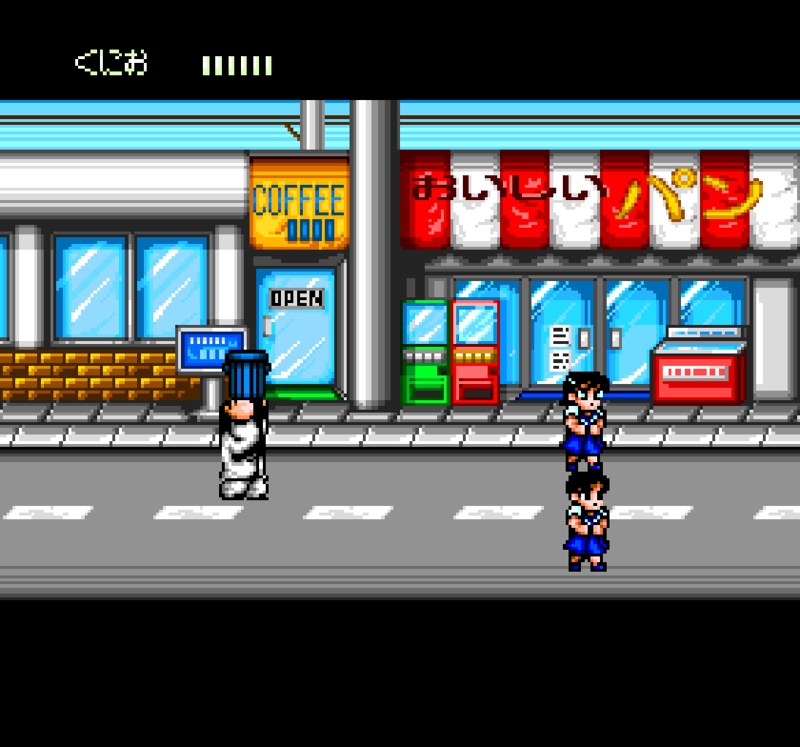 It’s a pair of soda machines from Shodai: Nekketsu Kōha Kunio-kun, an RPG entry in the Kunio-kun/River City franchise for the Super Famicon! 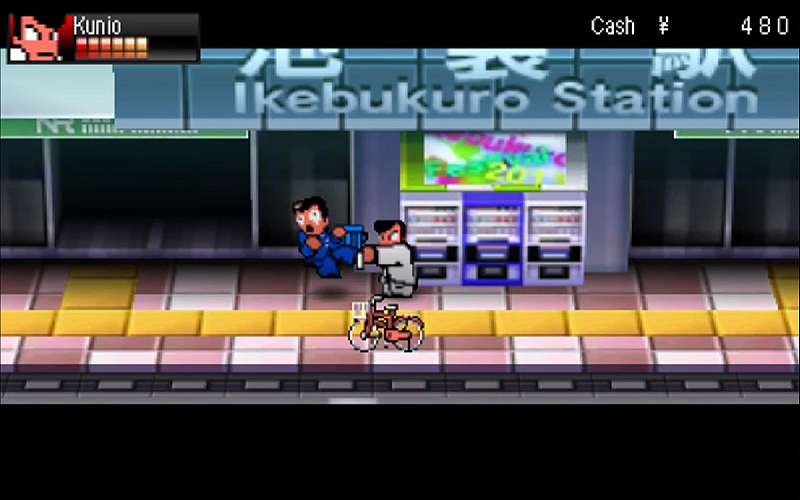 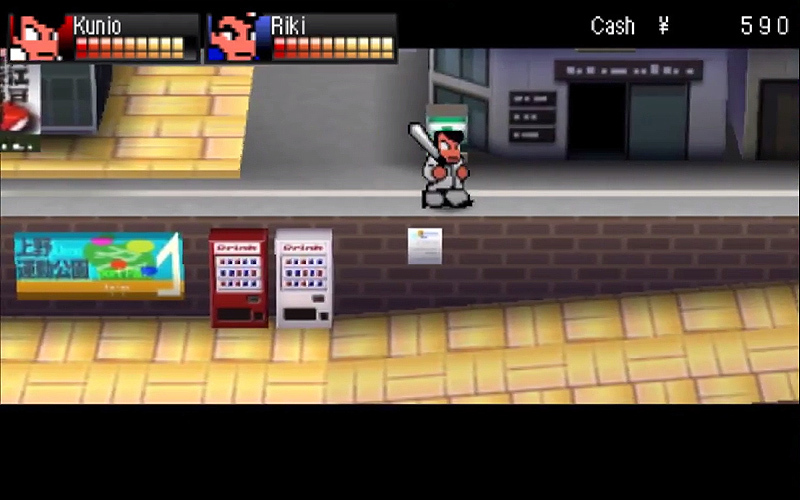 River City: Tokyo Rumble, much like the actual city of Tokyo, is a soda machine aficionado’s paradise! 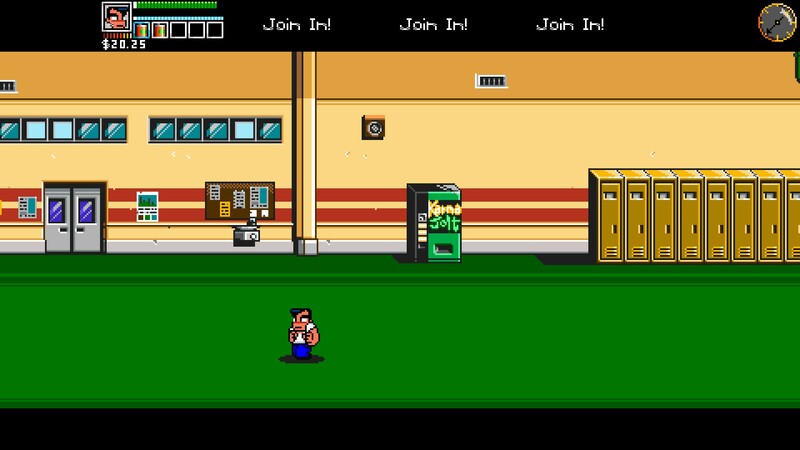 Check out this Fizzy Fuzz soda machine from the upcoming River City Ransom: Underground. 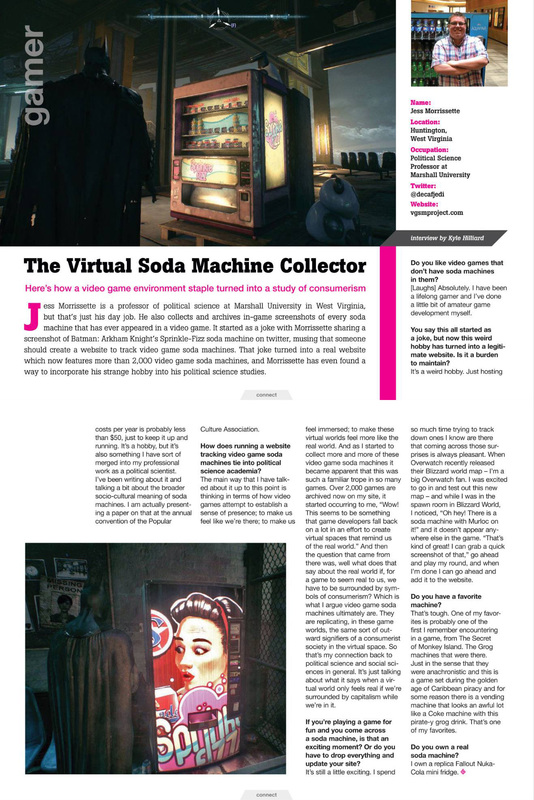 Thanks for the heads-up, @_Jackalope_! 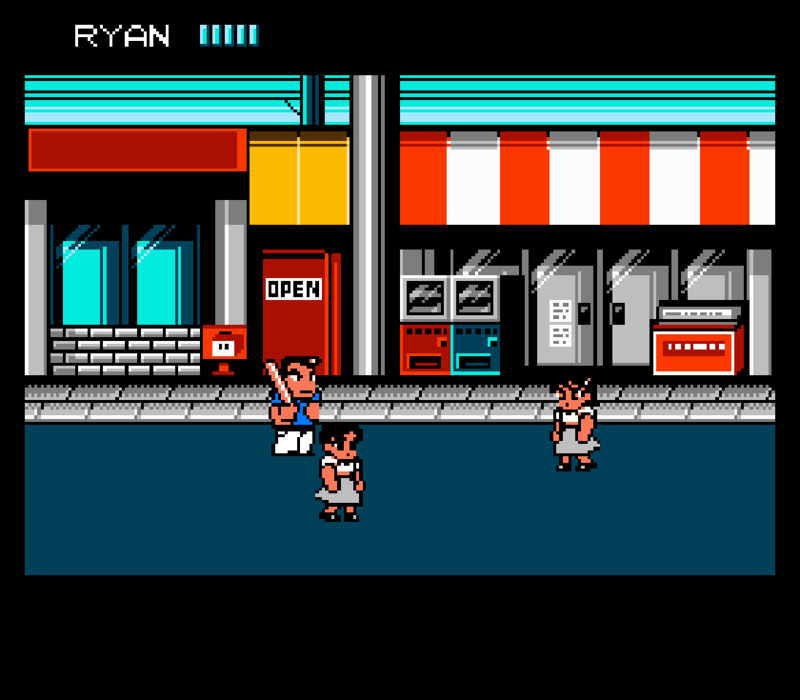 Let’s take a look at the soda machines from River City Ransom across a few different platforms, starting with the NES! 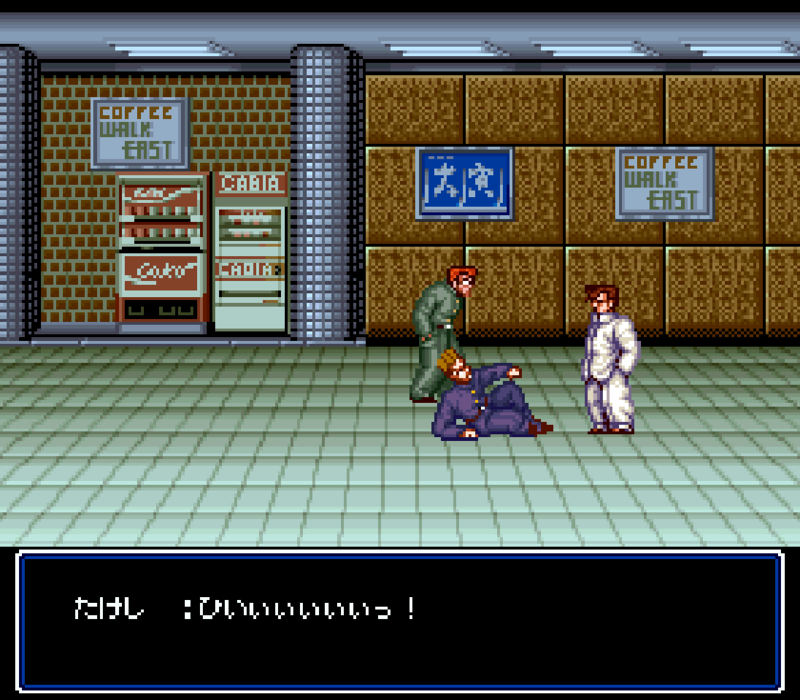 Next up is the Sharp X68000 port! 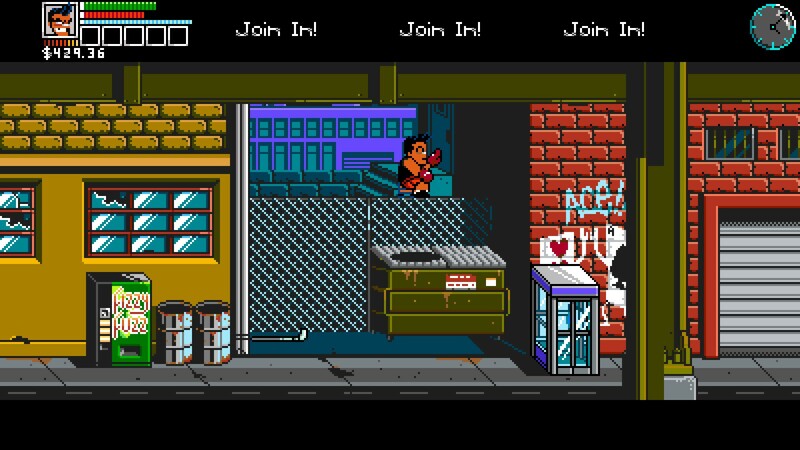 Finally, we have the TurboGrafx-16!